← Kel’s Boursin and Jalapeño Stuffed Chicken Breasts Wrapped in Bacon. Need I Say More? 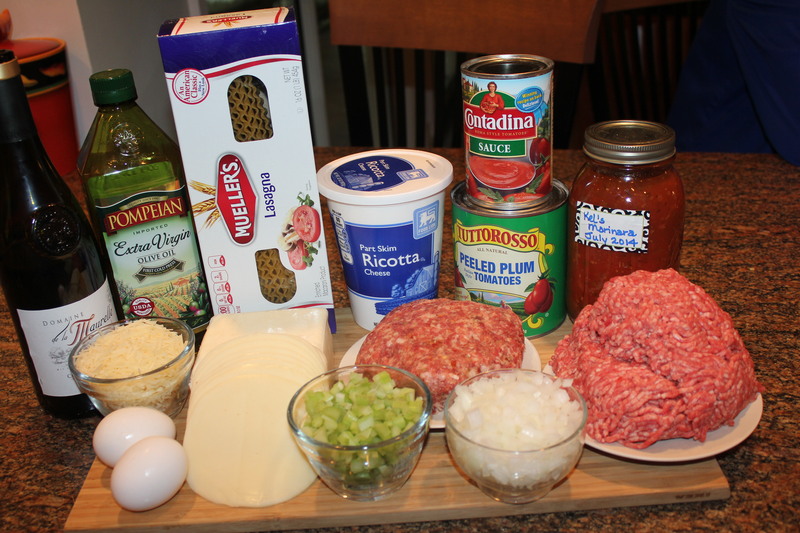 One of my favorite go-to dishes to make at large get-togethers is classic lasagna. After all, what’s not to love? 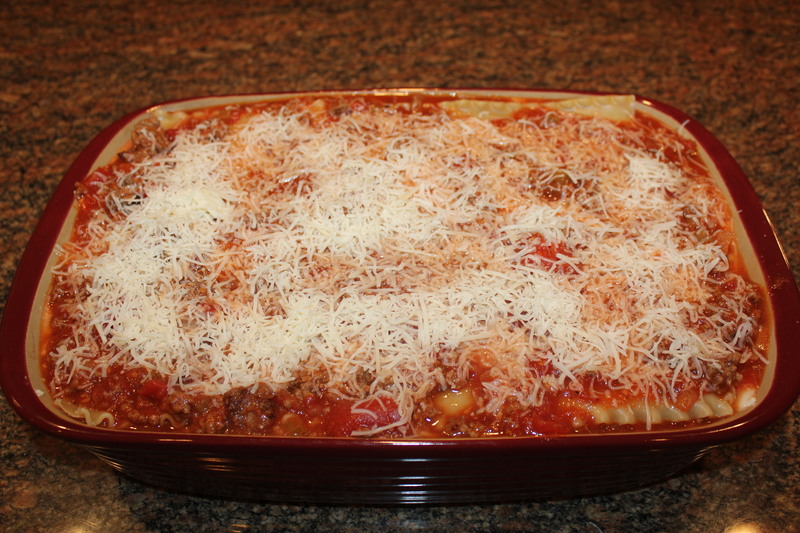 It’s practically guaranteed to turn out great, since you really can’t go wrong with pasta, meat sauce and lots of yummy, yummy cheese baked together for comfort food at its best. 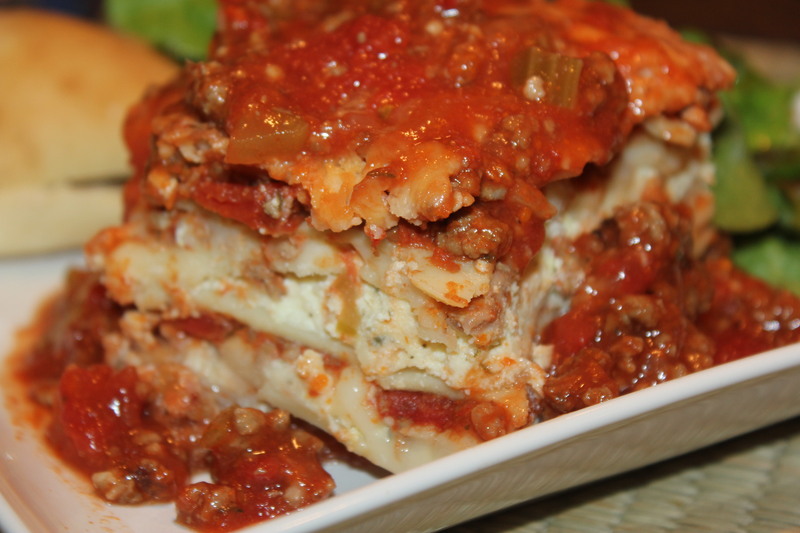 For this particular lasagna, I used my homemade marinara sauce, which is quite garlic-y, so I did not add any additional garlic. But if you’re using your favorite jarred sauce from the grocery store, I’d add 4-5 cloves to the mix. 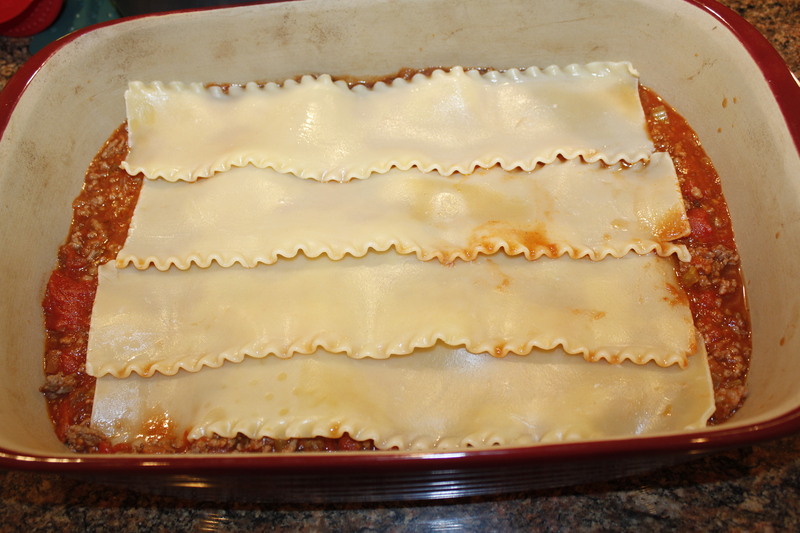 If you have any meat sauce left over, save it, since the sauce in the lasagna gets absorbed by the noodles when refrigerated (if you have any leftover lasagna, that is!) 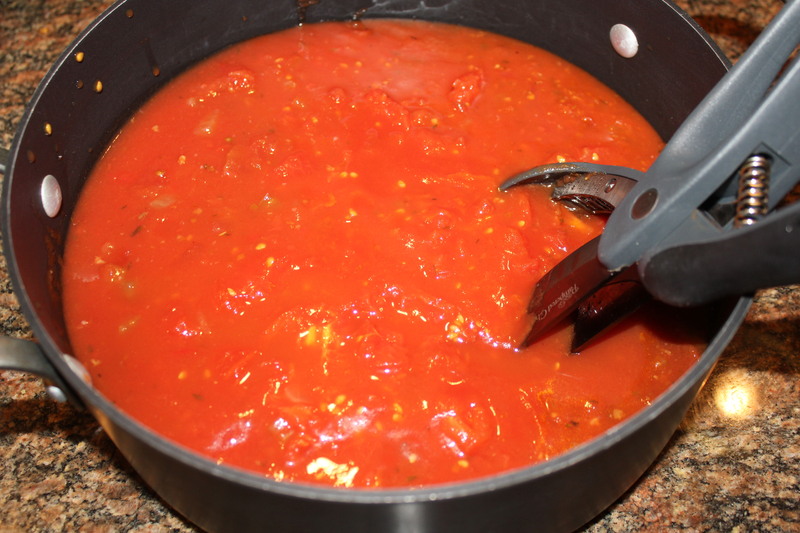 Also, you can make the sauce the day before, which not only saves time the next day, but also adds more intensity to the flavor of the sauce. 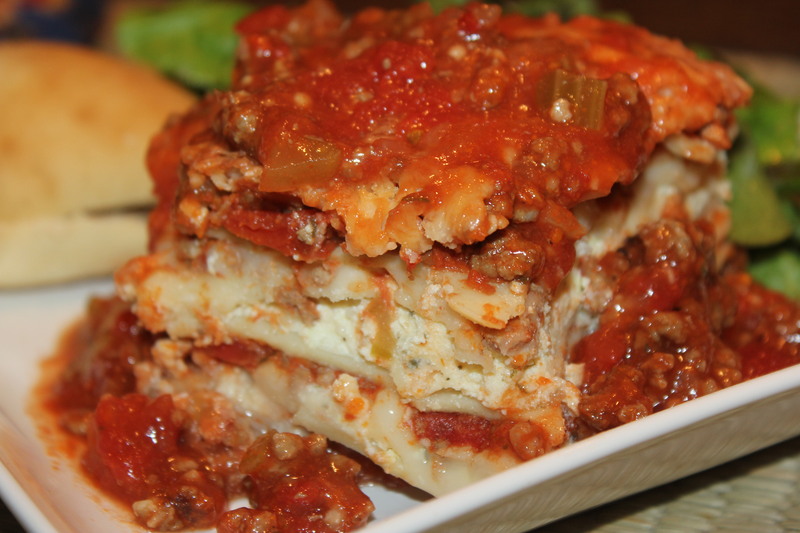 Just heat it before you get ready to assemble the lasagna. 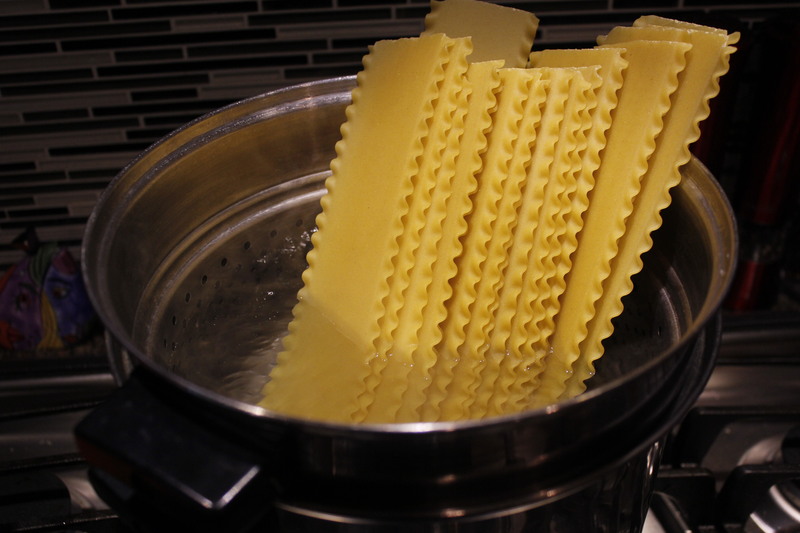 Bring a large pot of salted water to a boil, add noodles and cook until al dente (follow directions on package.) Drain well. In a large skillet, heat the olive oil to medium. Add the onion, celery and garlic and sauté for a few minutes. 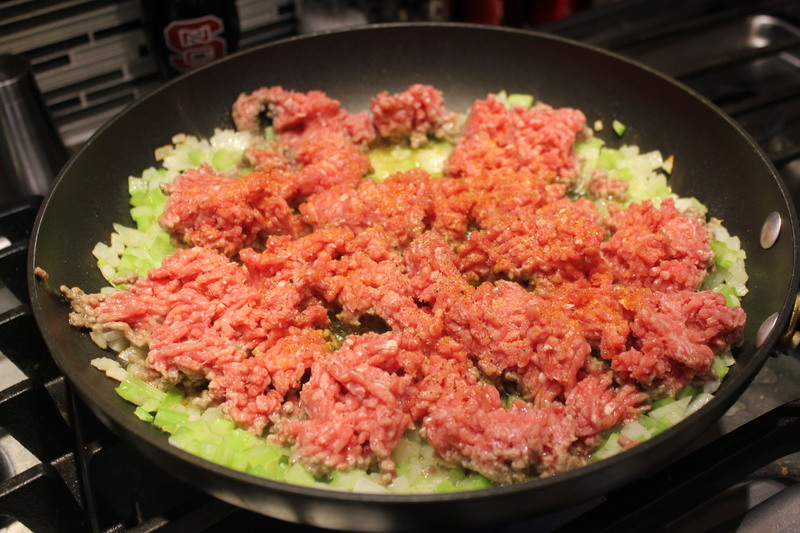 Add the ground beef, season it with salt and pepper to taste, and break it apart as it browns. 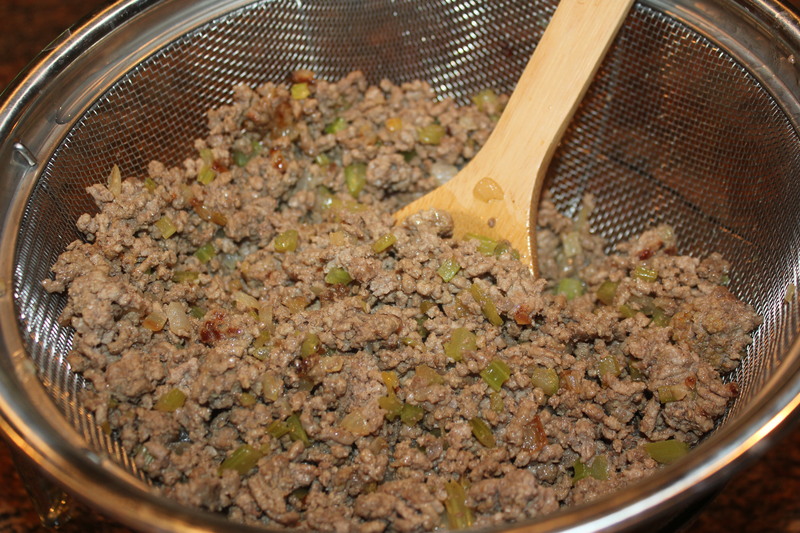 Add the ground beef, sausage, red wine, Italian seasoning, salt and pepper, and mix well. Let simmer for an hour or so. 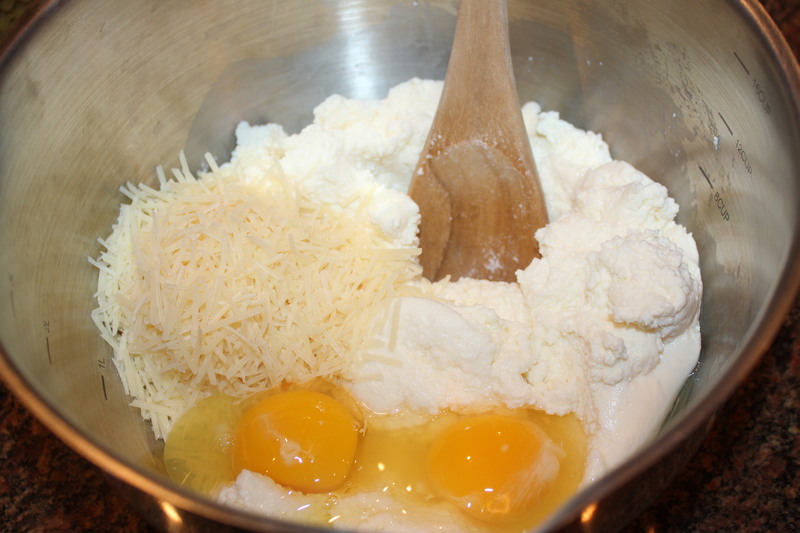 In a large bowl, add the Ricotta cheese, eggs, and Parmesan and mix well. 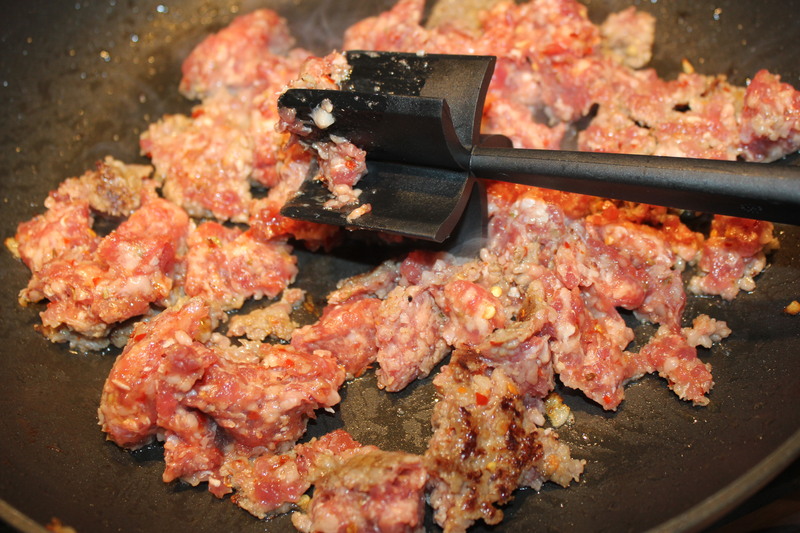 I also added a few shakes of the Italian seasoning and some seasoned salt to the mix, but that’s optional. 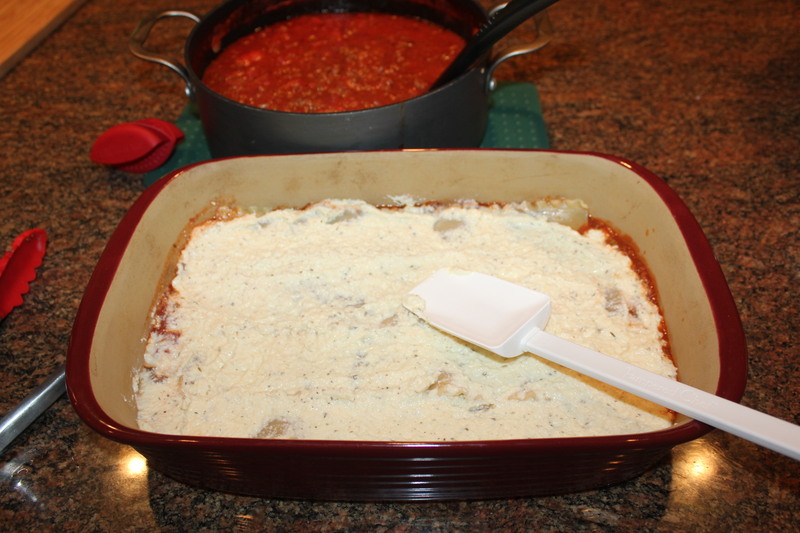 Layer 1: Cover the bottom of your dish with a thin layer of the sauce. Place 4 noodles on top of the sauce. Spread half of the ricotta mixture on top of the noodles. Top with the provolone slices. 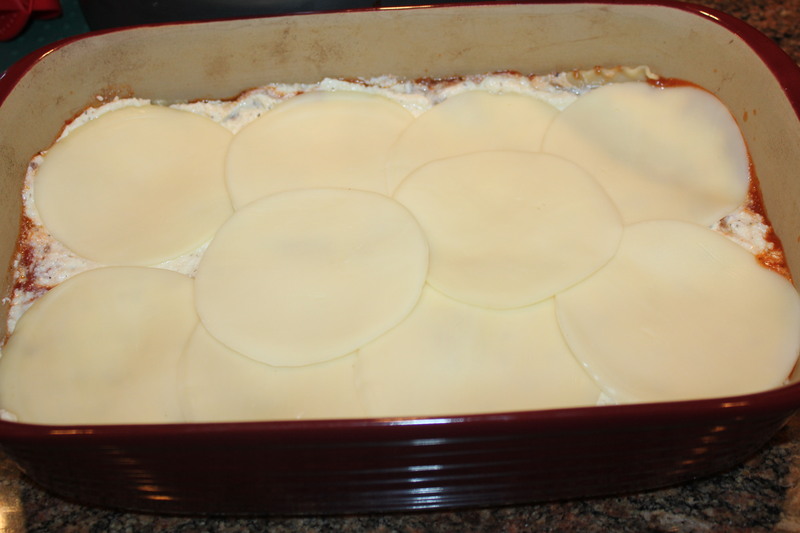 Layer 2: Add enough sauce to cover the provolone, add 4 noodles, the rest of ricotta mixture, and top with the mozzarella slices. 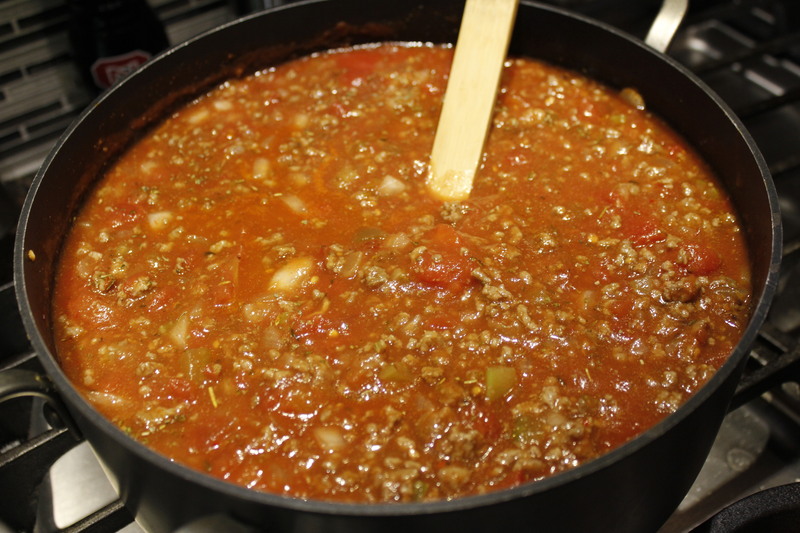 Layer 3: Add another thin layer of sauce, 4 more noodles and then more sauce. 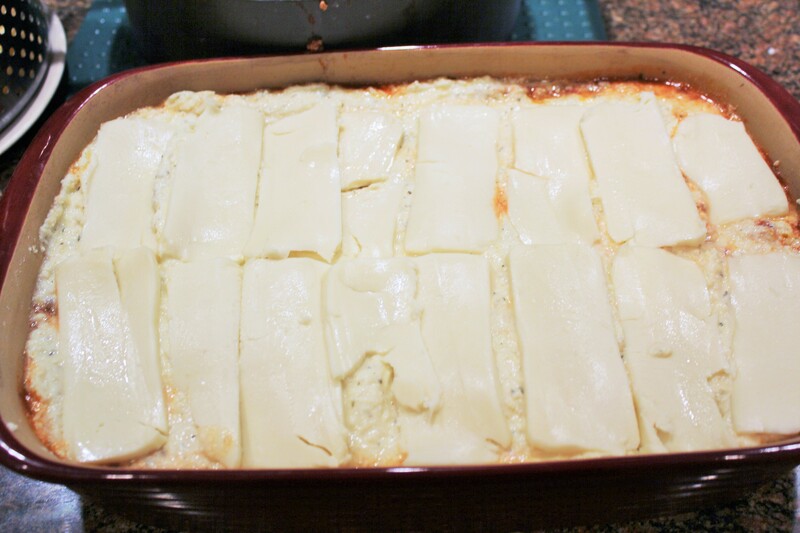 Layer 4: Top with the grated mozzarella cheese. Bake for 60 minutes, and let stand for 15 minutes or so before serving. I like to place aluminum foil under the casserole dish in case any of the sauce, etc. drips. 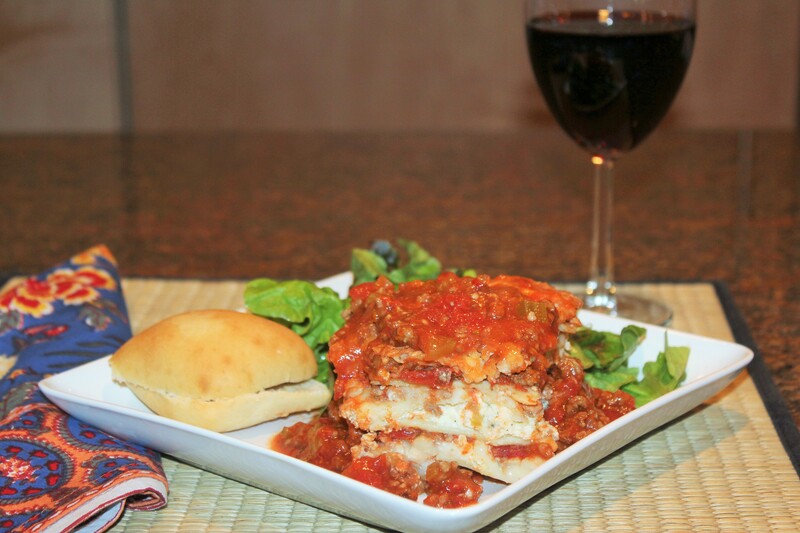 This goes great with a salad, bread, and a big glass of red wine! This entry was posted in Pampered Chef tools, Pasta, Rice, etc., Recipes and tagged comfort food, eat drink and be merry, Four cheese lasagna with meat sauce, Italian lasagna recipes, Kel's Cafe Classic Lasagna recipe, Kelley Chisholm recipes, Pampered Chef large rectangular baker recipe, Pampered Chef Mix 'N Chop, Pampered Chef salad chopper. Bookmark the permalink.